MERRIMACK, NH (KTRK) -- The nation's most famous groundhog, Punxsutawney Phil, is wanted. Police in the town of Merrimack, New Hampshire say there is a warrant out for the weather-predicting rodent's arrest. The groundhog, back on February 2, climbed out of his home on Gobbler's Knob and saw his shadow, forecasting six more weeks of winter. 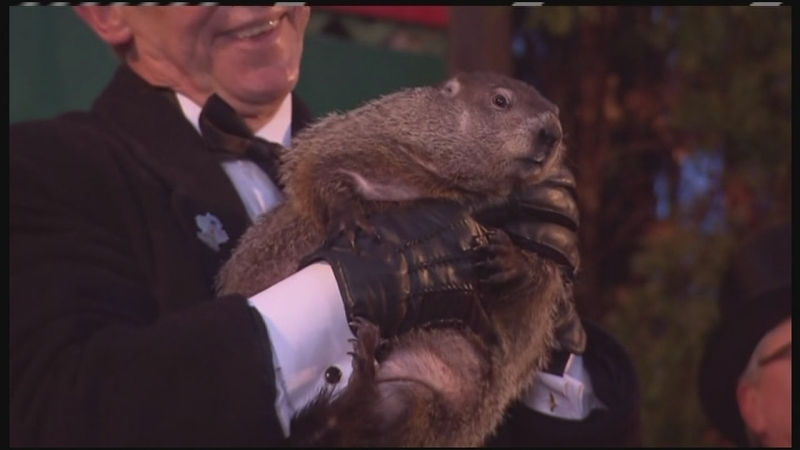 Tradition says spring would have come instead if Punxsutawney Phil hadn't seen his shadow. Meteorologists said the weekend following the groundhog's forecast, the town of Merrimack received more than a foot of snow which upset a lot of residents. "We have received several complaints from the public that this little varmint is held up in a hole, warm and toasty," the Merrimack Police Department said on Facebook. "He told several people that winter would last 6 more weeks, however he failed to disclose that it would consist of mountains of snow!" Merrimack Police warned the public Punxsutawney Phil was armed and dangerous and if anyone saw him, to call police. The department said they would, "certainly take him into custody."